WAIMH has encouraged its affiliates to arrange a Celebrate Babies event on a yearly basis. In Finland a National Baby Day was arranged Friday 28th September. It constituted of media texts and radio programmes on infants and the Baby’s Day seminar at the Parliament of Finland. Mrs Paula Risikko as the Spokesman of the Finnish Parliament hosted the event. The main organisers were Baby Finland and its Chair Mrs Merja-Maaria Turunen. WAIMH contributed to the Finnish Baby Day with our Executive Director giving a workshop for parents on early interaction. In October 8-12, altogether 29 Infant Mental Health associations will unify to keep the baby in mind. Gather your IMH association members, colleagues and co-workers & host an event -big or small! For the past 6+ years, a week in October has been chosen and dedicated to celebrating babies and the professionals who work with and/or on behalf of babies. We encourage every IMH association that is part of the IMH to plan their own Celebrate Babies! event. 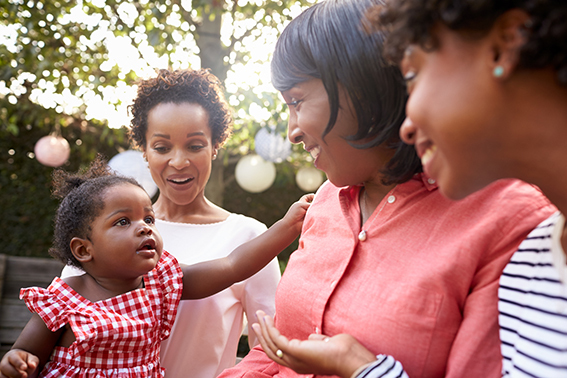 You deserve to take time out of our usual, busy schedules and celebrate the incredible work you do, supporting and advocating for pregnant women, infants, young children and their families. With our collaborated efforts, we are certain we will make a huge impression on the behalf of babies!